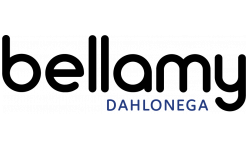 With the excitement of living in Dahlonega’s Premier Student Living Community, we have taken the time to answer some frequently asked questions. When is my first payment due? Payment is due before the lease start date, but if you move in earlier it is due at move in. You must pay the initial balance listed on your lease under ‘Balance Due Upon Occupancy’’ by move in day. You cannot pick up keys until this amount is paid. Is the rent prorated? The move in date and move out date will be mid month however, rent is not prorated. There is a value for the contract. We allow you to pay the value of the contract in installments and we offer a 12 month payment option. However, that does not mean the expense for the month is prorated. You have the option to pay in advance as well. Often, this confusion as in conventional living the rent is prorated. We offer an installment lease. Will the bedrooms be carpeted? Yes, all bedrooms will be carpeted (and padded) Living room and Kitchen will have a wood laminate floor. The wood floor is a dark gray/brown. If I don’t like my roommate, can I transfer to a new apartment? You will have to pay a $300 transfer fee and replace your current room with a new person before you are allowed to move. Vet records stating age, breed, weight and shot record. Show proof of a kennel/crate. Completed signed pet addendum signed by you and all roommates. Pet interview with the manager. Paid a total of $550, $350 is non-refundable. Where can visitors park? Visitors will only be allowed to park in front of the leasing office after hours. You will receive a permit at move in that allows you to park inside the gate area. Any car parked in the parking lot without the proper Bellamy sticker is subject to towing at vehicle owner’s expense. What if I bring my own mattress but it is not a Full Size? The Full Size frames can accommodate mattresses of different sizes. A larger mattress may hang over the edges of the frame, but the mattress will fit. Will it be gated? Yes, the community will be gated. Are there really tanning facilities? Yes, there is one stand up tanning bed at this community. You may use it up to 3 times per week during office hours. Will there be a fitness center? Yes, you will have 24/7 access to it. It will include a weight machine, treadmill, elliptical and exercise bike. What will the utilities run? Your electricity is based on consumption (amount used). We will split the bill evenly among you and your roommates. Our best estimate is $75-100 per person for cable, internet, water, trash and electrical. However keep in mind that this is an approximation. What are the office hours? Once classes begin, office hours will be until 9 am until 8pm Monday through Thursday, 9am - 7 pm Friday, Saturdays, 10 am until 5 pm and Sundays, 1 pm until 5 PM. These are subject to change. Can I paint the walls? You may paint the walls if you get prior written permission from management. You will have to repaint the walls at the end of your lease or you will be charged for the wall color repaint. How does rent work? Rent is due on the first of every month. You will be assessed a late charge on the 6th. We do not waive late fees for any reason, regardless of circumstance. Please plan in advance! How can I pay my rent each month? This community accepts ONLINE PAYMENTS ONLY (eCheck, Visa, MasterCard, Discover, and Moneygram). We will not accept any payments in the office. There are fees associated with online payment, the smallest of these is $1.95 for an eCheck. Unless paying in bulk. If you pay the the rent in quarters in advance we will waive the fee. Are there assigned parking spots? No, they are first come, first serve. How do I cancel my lease? You are not able to cancel a lease at the Bellamy. If you are unable to fulfill your lease requirements, your only only is to find a qualified candidate to re-let your apartment to. They must meet the roommate match, credit and criminal check, meet income requirements and pay the appropriate fees. Will there be planned resident events? YES!!! We are all about fun events at the Bellamy! We host weekly, monthly and annual events!